Jerry Bilek, owner of Monkey See, Monkey Read, sent me a link to a story of interest. A recent study of business impacts on the economy in San Francisco found that local businesses contributed over four times as much as chain and the internet businesses. The study also found that if consumers shifted just 10% of their purchases to local businesses, the economic gains in taxes and jobs would be dramatic. Although the story focused on independent book retailers, the study found similar projected impacts in the toy, sporting goods and dining areas. It might be interesting to ask local retailers/businesses/banks how much they donate annually to the Northfield community–money to non-profits, merchandise and gift certificates for auctions, etc, as well as in-kind dontations, use of facilities and time. I think people would be suprised to learn that it is probably way above the 1% that Target publicizes (although this is not meant to be a big box bash). I know that people in this town don’t like to toot their own horn, but if we talked in terms of percentages this might be palatable. 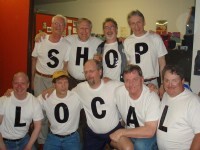 It would be good information to have when we ask people to shop locally. 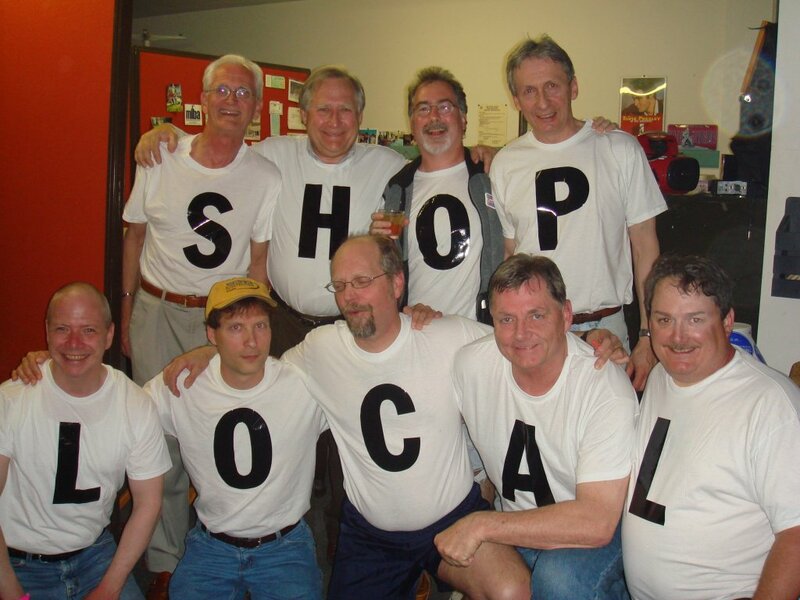 By the way, I think the “Shop Local” boys should start making guest appearances (without the show) at various public events or to congratulate businesses celebrating anniversaries and milestones as the NDDC ambassadors! What a great visual image each time a photo gets published in the various media. I am all for SHOPPING LOCAL but I have a question. I am rather new to town, and I just wonder why the CITY OF NORTHFIELD didn’t “shop local” when they chose a Texas Company to do all the roofs on the city buildings in town. There are plenty of local roofers who would have LOVED to get an opportunity to bid on the projects. I certainly don’t know all of the details, or how or why such a decision was made, but I am curious about this. Why shouldn’t SHOOPING LOCAL also apply to local builders and contractors?